Save on your next flight from RTB to ACE when you book through Travelocity. 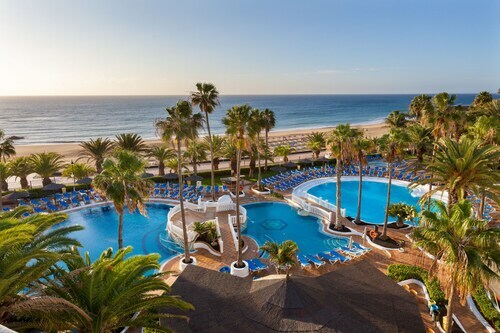 Need a last-minute flight to Arrecife? Travelocity offers discount airfare no matter when you book, even on popular routes such as Juan Manuel Galvez Intl. Airport to Lanzarote Airport. Whether you need a direct or indirect flight, you can trust Travelocity to provide you with the best prices for RTB to ACE flights. Top Flights from Juan Manuel Galvez Intl. Top Flights to Juan Manuel Galvez Intl. Explore Arrecife with Travelocity's Travel Guides to find the best flights, cars, vacation packages and more! Located in Tias, this beachfront hotel is on the boardwalk and within 3 mi (5 km) of Pocillos Beach, Puerto del Carmen Beach, and Rancho Texas Park Zoo. Gran Casino de Lanzarote and Jose Saramago House Museum are also within 3 mi (5 km). With direct access to the beach, this Tias hotel is within 3 mi (5 km) of Pocillos Beach, Puerto del Carmen Beach, and Rancho Texas Park Zoo. Playa Chica and Gran Casino de Lanzarote are also within 3 mi (5 km). 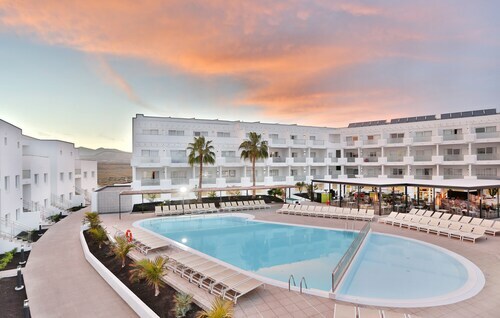 This family-friendly Tias hotel is located near the airport, within 3 mi (5 km) of Rancho Texas Park Zoo and Gran Casino de Lanzarote. Lanzarote Golf Resort is 3.6 mi (5.8 km) away. Situated in San Bartolome, this campground is 2.1 mi (3.4 km) from Deiland Shopping Center and 3 mi (4.9 km) from El Reducto Beach. 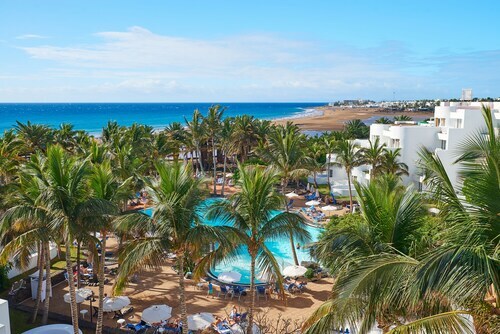 Pocillos Beach and Puerto del Carmen Beach are also within 6 mi (10 km).